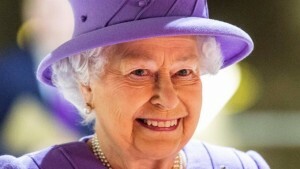 In April Queen Elizabeth II became the first reigning British monarch to reach the age of 90. The Queen’s 90th birthday was on April 21, and while this was not be the main focus of the celebrations, there was still be an opportunity to see the Queen for hardy royal-watchers. Her Majesty was at Windsor Castle when her birthday came around and took part in many public engagements in the Windsor area. The Queen celebrates two birthdays each year: her actual birthday on 21 April and her official birthday on a Saturday in June. The Queen usually spends her actual birthday privately, but the occasion is marked publicly by gun salutes in central London at midday: a 41 gun salute in Hyde Park, a 21 gun salute in Windsor Great Park and a 62 gun salute at the Tower of London. In 2006, Her Majesty celebrated her 80th Birthday in 2006 with a walkabout in the streets outside of Windsor Castle to meet well-wishers. On her official birthday, Her Majesty is joined by other members of the Royal Family at the spectacular Trooping the Colour parade which moves between Buckingham Palace, The Mall and Horseguards’ Parade. Find out more about Trooping the Colour.